WAM Updates: Ask a Curator Day! Want to know more about an object in WAM’s collection? Find out directly from WAM curators themselves on Ask a Curator Day! You ask, we answer. 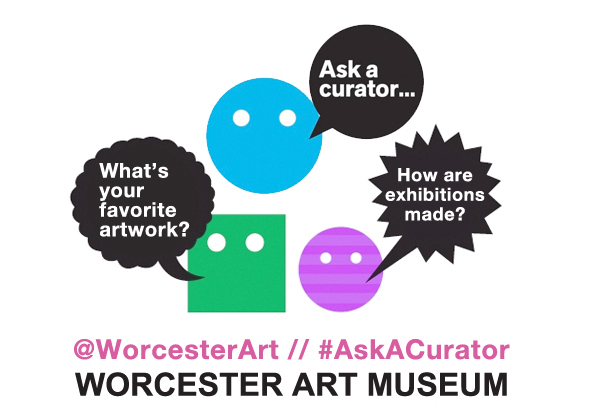 To participate, tweet your questions to @WorcesterArt TODAY, September 14, from 11am-4pm EST with the hashtag #AskACurator. Expertise: 18th- and 19th-century American Art. Expertise: Ancient to contemporary Asian art.